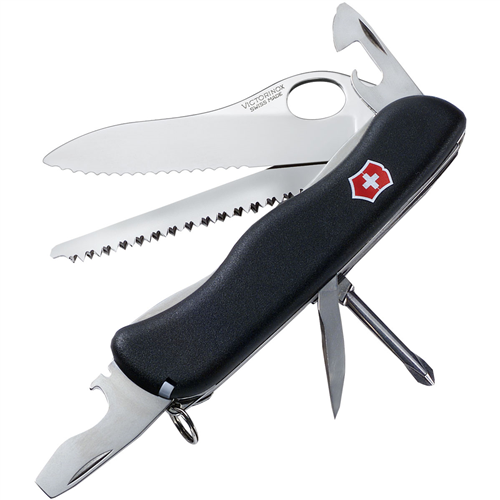 Visit Victorinox Swiss Army's Deluxe Tinker page. 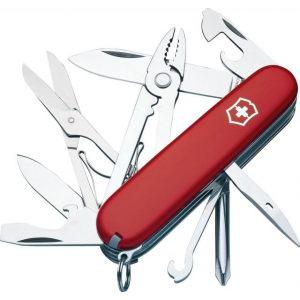 The Deluxe Tinker from Victorinox Swiss Army is a sophisticated 'officer's knife' with lots of extras. 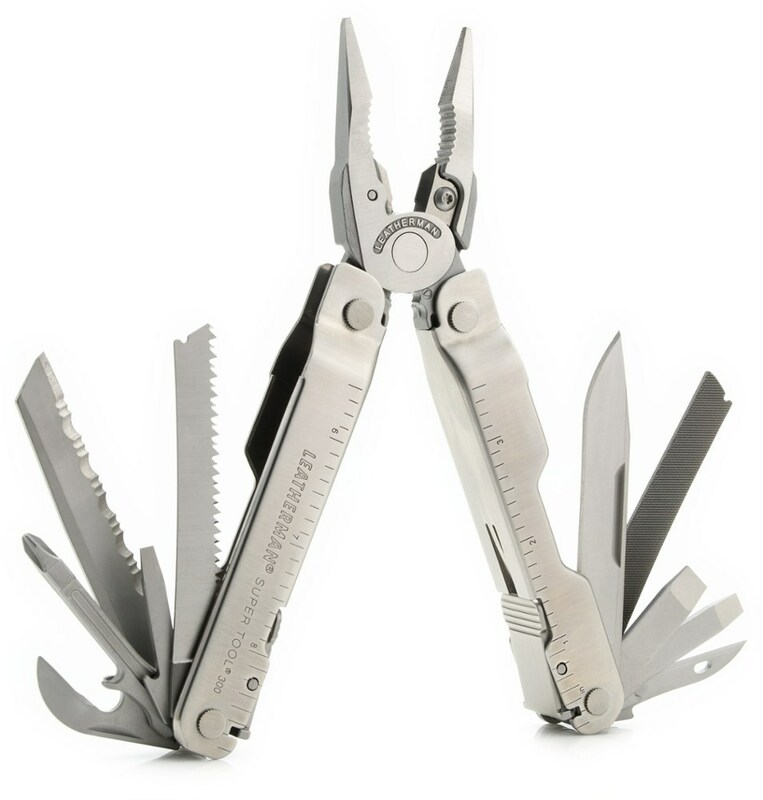 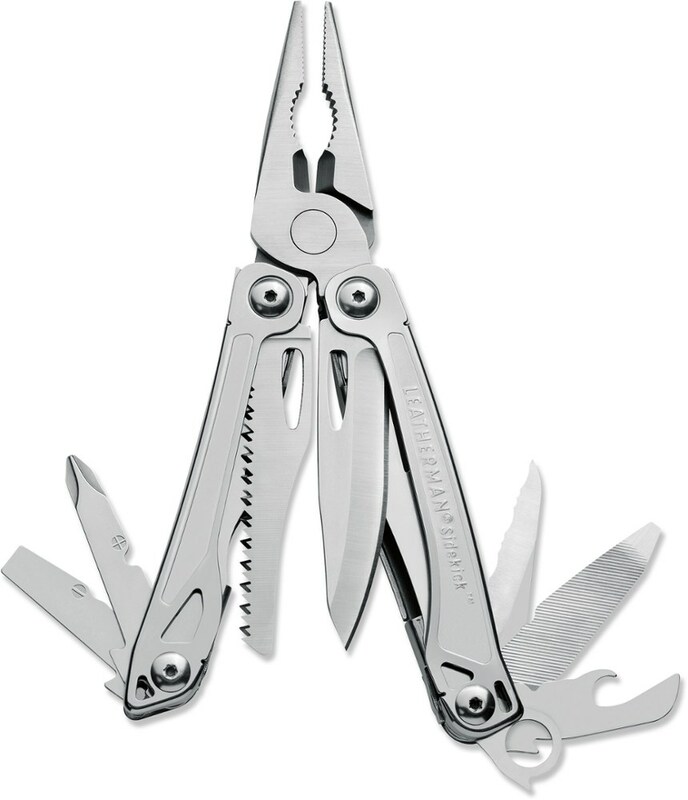 Features all of the implements included in the standard Tinker model with even more tools, including multi-function pliers and more! 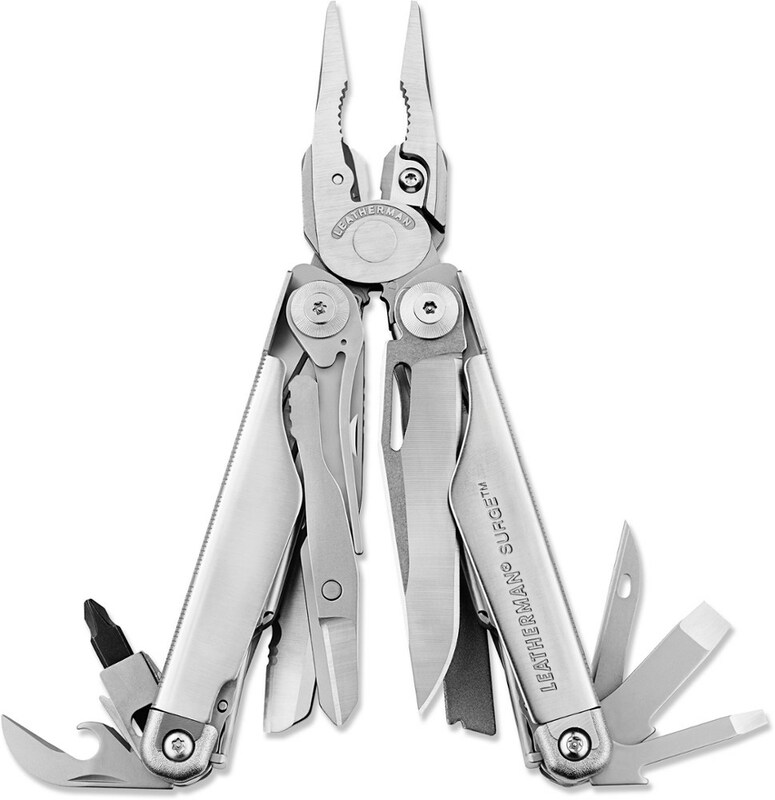 The super-durable stainless steel blades carry a lifetime warranty against defects in materials and workmanship. 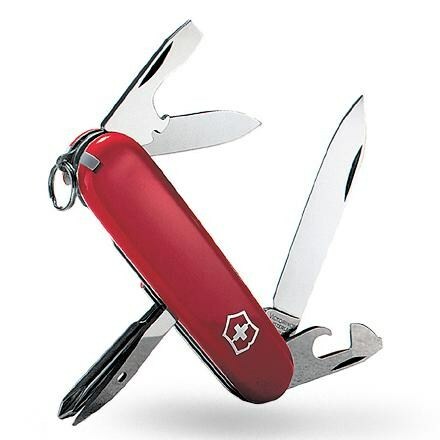 Victorinox Camp & Hike Deluxe Tinker Swiss Army Knife Red 53481. 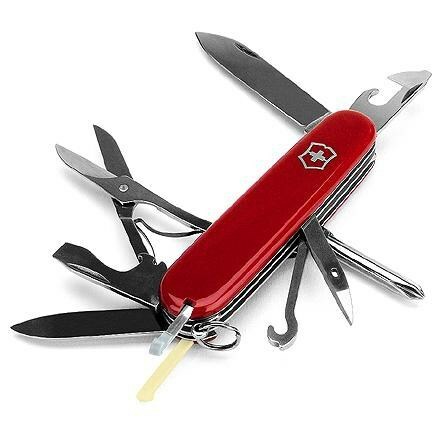 You never know what you'll encounter out there but you know that you and your Tinker will always be ready to build hack or fix anything.